Longford RFC took the notable scalp of Boyne RFC yesterday in Drogheda to take their place in the Quarter Finals of the Provincial Towns Cup. Longford have not played Boyne in a long time as they had been plying their trade in the AIL and lately in Division 1A of Leinster rugby. So by any accounts travelling away from home against high calibre opposition was always going to be a tough ask but one that Longford came through with aplomb. The pitch which is located on the Ballymakenny Road, Drogheda is one of the most exposed that Longford have visited. Although there was little or no rain, a stiff cold breeze blew down the pitch towards the club house and had a strong effect on the match. Longford took the brave decision to play into the wind in the first half, this meant that they would find it hard to get off their half as getting distance into the wind from the boot was not an option. The match opened up with typical opening exchanges in a cup match with both teams trying to feel each other out, especially as both sides have not played each other before. It was clear from the opening exchanges that Boyne are regularly exposed to a faster bigger hitting game in Division 1A, but it not take Longford long to come up the same pace. However, Boyne began to use the wind to their advantage and pinned Longford back in their half. To their credit Longford’s defence held firm. The first big sign of danger was when Boyne were held up on the Longford line after fifteen minutes. However, Boyne were not to be denied and they went over for a converted try on seventeen minutes. Boyne looked to kick on at this stage. Nevertheless, Longford were giving as good as they got and despite the wind made a few good incisions into the Boyne 22 but unfortunately they could not finish it off. Boyne had a few more chances and indeed, missed a penalty on thirty minutes, which was their last real scoring opportunity of the match. Longford then turned up the heat and in injury time Joe McGowan crossed for an uncoverted try to put Longford into the half time break with their tails up and the strong win at their backs for the second half. Longford quickly brought the game to Boyne and such were their dominance Boyne barely got out of their own half for the entire forty minutes. However, Longford had to be on their guard as Boyne had a good back line who looked capable of springing a surprise against the run of play. Although, Longford had a number of try opportunities in the second half it was the boot of Ryan McHugh that secured their place in the quarter finals with three unanswered penalties. Longford could have went over in the corner but for a final difficult pass and a fumble and then a quick tap penalty from Danny McHugh nearly saw Longford cross the line. Boyne finished the match on the attack looking for seven points to try and bring the match to extra time but Longford were not to be denied and the team left the pitch in the knowledge that they would be leaving Drogheda with a notable win, a place in the Towns Cup Quarter Finals and the knowledge that they could compete well with and furthermore, beat Division 1A opposition. The reward for the win is a home fixture versus Kilkenny on St. Patricks Day. It promises to make Irelands national day extra special! Kilkenny will be tough opposition as they also play their trade in 1A after getting promoted last season. However, they are a team Longford have a lot of knowledge of, after playing them frequently over the last decade and know if they bring their ‘A’ game against Kilkenny, that they will be well in the hunt for a place in the semi-finals. Longford Squad: P O’Farrell, H Connolly, D Quinn, B Stewart, B McManus, D Farrell, K O’Gorman, P Gallogly, N Farrell, D McHugh, C Seery, R McHugh, S Rodgers, J McGowan, S Flynn, J Forde, P Dardis, S McGuinness, D O’Brien, I McCormack & F Davis. 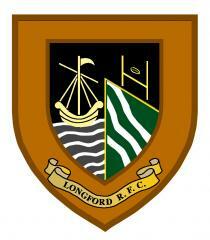 After match reaction from Longford Head Coach, Glenn Baskett. A great squad effort out there today. Boyne are a very good side and that showed in the questions they asked today, we had to play without the ball for long spells today. In fact, the really strong wind blowing straight down the pitch made game strategy really important. We talked about the need to manage the wind, especially in how we kicked. We knew in the 2nd half Boyne wouldn’t be able to kick in certain parts of the pitch to relieve pressure so we backed ourselves to apply pressure on defence and try to force the turnover. We thought the D in the first half which ultimately let in a try was pretty good under a huge amount of pressure, and we took that as a positive to build on for the rest of the game. But again we created opportunities and our final execution can still be better as we didn’t take those chances, and that is something we have to look at. Our set piece got tested today and we need to have a talk and try to get that right. There’s a few tired bodies. And we picked up an injury to Conor Seery so we will have to see what that shows next week. But I’ve heard the reward for today’s work is a home quarter against Kilkenny, and that’s a whole different challenge. But the boys can enjoy today, but we turn the page tomorrow and look at the challenge of Suttonians coming next Sunday in the last home league game. We’ve been training without a week (off the way fixtures have fallen) since Christmas and this is another step up again for the group ahead of a down week after Suttonians. It’s a different opportunity again and one we will need to be better than today to get a result from it. These games are opportunities, not challenges. An opportunity to play again and test your skill set. We would encourage every person in Longford that has an interest in seeing their fellow county men represent them to come along Sunday to see the two Longford teams play, it is gonna prove to be a massive occasion and home support will be huge.